Satisfy that sweet tooth at New York's best bakeries. There's absolutely no shame in having a sweet tooth, we have several, but settling on a corner-store snack cake when you really want something decadent and hand-crafted, well that's down-right shameful. No need to fret, New York City is the home to some of the world's best bakeries, and the sweet treats here are so good they often reach celebrity status (hello Cronut we're talking to you). Celeb status aside, you're not always craving the Miley Cyrus-dessert-of-the-moment. Sometimes you want something specific—a macaron, a croissant, cake, bagel, or whatever it may be, you need to know the best place to get it. Whether you're looking for French pastries, moist old fashioned cakes, or chewy breads, our list of the best bakeries in New York has you covered. Since you can't compare a croissant to a macaron, the list below is in no particular order. 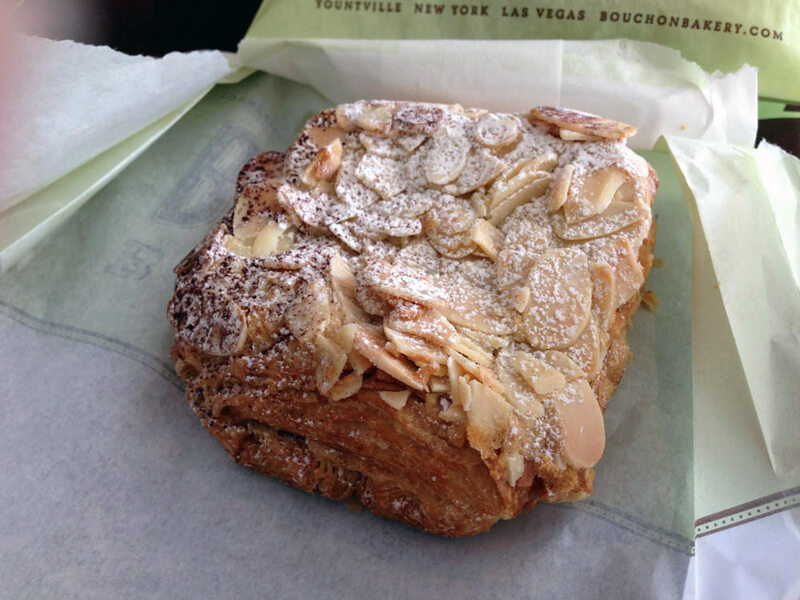 Bouchon is a Thomas Keller bakery, so what you'll find here is a range of quality French pastries such as buttery croissants, perfect tarts and amazing baguette sandwiches. The apricot and almond croissants are a fantastic way to start your day, and the macarons are a delightful after dinner treat. This French bakery sits next to Balthazar's restaurant, one of SoHo's most popular hot spots. The small take-out bakery carries baguettes, sticky buns, and croissants, along with scones, muffins and brownies. The sticky buns are a stand-out favorite, as are the almond croissants. Doughnuts are the specialty here (surprise, surprise) and this place takes them seriously. There are two categories: Cake doughnuts and yeast doughnuts. The cake doughnuts regular and filled, with the regulars square with a hole in the middle. The filled come in two type — square with a hole that have filling on the inside, and "doughnut seeds" which are round with no hole and filled with magical goodness. The yeast doughnuts are raised with yeast making them light and fluffy with a bit of bite. The crème brûlée seed is to die, for but the blackout chocolate cake doughnut is also great. ​Around our office the French mille-feuille, a cream filled cake with layer upon layer of light flaky pastry, is one of our absolute favorites—but usually we have to travel all the way to France to get a good one. Mille-Feuille bakery changed that when Olivier Dessyn moved from Paris to New York, bringing his love for French pastry and more than a little experience (he trained under Camille Lesecq and Pierre Hermé) with him. 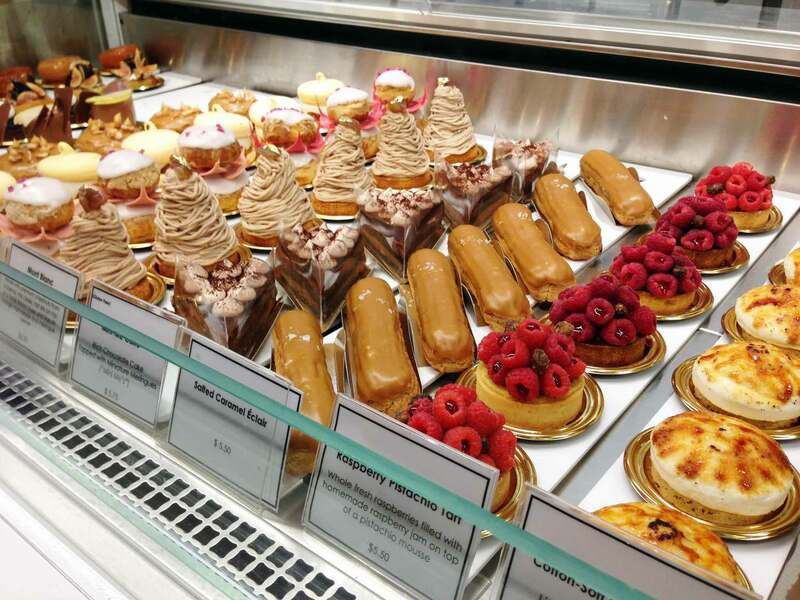 You'll find authenticlly Parisien eclairs, brioche, pain au chocolat, tarts, and of course a killer mille-feuille, are all here for your French pastry fix. You've likely heard the cronut hype, (it's totally warranted BTW), but the cronut isn't the only thing Dominique Ansel does extremely well. 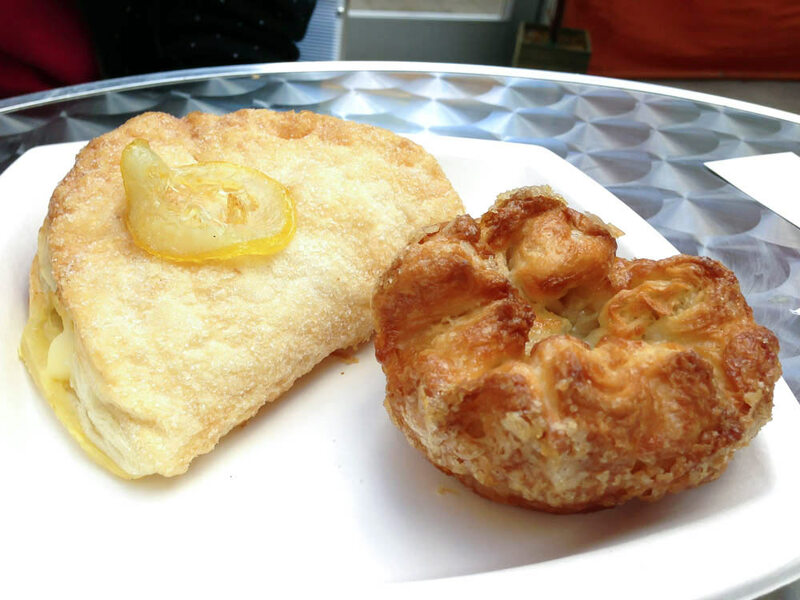 Ansel has made a name for himself creating pastry hybrids—the DKA was the first pastry this place became known for, it's a cross between cake and a puff pastry. The famed cronut, a cross between a croissant and a doughnut, is the pastry on everyone's mind these days, it's so famous it's gained world-wide attention and of course copy-cats from all over. Nothing at Dominique Ansel disappoints, so if you can't get your hands on a cronut anything else in the pastry case will put a smile on your face. This bakery specializes in bomboloni's, an Italian doughnut filled with a variety of jams, jellies, and creams. The wide range of flavors are what makes these bomboloni's so popular, choose from blood orange, pistachio cream, toasted chocolate marshmallow and peanut butter cup to name a few. If you like your beverage dressed up like a pastry try the 'Limonata', 'American-coke' or the 'Organic Earl Gray Tea' flavors. Do you love crepes? How about cake? Than Lady M Confections will rock your world. These cakes 20 decadent alternating layers of thin crepes and fresh cream. The whole thing is bruleed on top and covered in powdered sugar. We're partial to the citrus ones, but the original is lovely too. If you're craving cupcakes that taste homemade—moist and rich with frosting so sweet your teeth buzz—Crumbs Bakery is the place to go. These cupcakes are huge so one will totally satisfy, and the frosting topping is perfectly proportioned (don't you hate bad cake to frosting ratios?) so every bite is delicious. These cupcakes aren't overly fancy, in fact they look as though you may have decorated them yourself, but that just adds to the homemade feel. Famous for their innovative desserts created by superstar David Chang, Momofuku Milk Bar serves up traditional American desserts like pie, and ice cream, and cookies all with a bit of a twist. Try the 'compost cookie' that is laced with stuff like pretzels, chips and coffee grounds among other delicious things, or if that sweet tooth is really aching go for the 'crack pie' which is essential sugar filling in a pie crust. If you've just binged on a huge meal you'll need a dessert that's ultra light to satisfy your sweet tooth Panade cream puffs just might be what you're looking for. Each cream puff is filled to order with sweet, light as air pastry cream in several flavors like vanilla, banana chocolate, and green tea. That's just a taste of a few of our favorite New York bakeries, but we'd love to hear yours, hit us @alphacityguides and let us know!